We’re excited to be back on board for another spectacular year of sizzling shows as major partner of FRINGE WORLD 2019. WA’s largest and most popular entertainment festival will return to entertain local audiences from 18 January to 17 February 2019. Offering something for everyone, the line-up includes shows from every genre from comedy and circus to dance and cabaret along with free, family entertainment – all presented by Western Australian artists and performers from all over the world. As the local energy behind this year’s festival, Kleenheat will be helping audiences select their perfect FRINGE WORLD show with the Kleenheat Sizzle Factor. 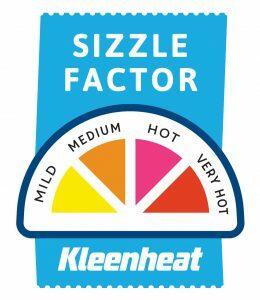 With every show being assigned a sizzle rating, whether you’re looking for some good clean fun or are keen to entertain your more adventurous side, the Kleenheat Sizzle Factor will be there to guide your choice. Senior Partnerships Coordinator Teale Moyers said, “Our partnership with FRINGE WORLD offers us an opportunity to continue to demonstrate our support for local talent and the arts in WA. “The festival is often hailed as one of the more exciting events in WA and it’s fantastic to see the fun and colour it brings to our home state during this time. Kleenheat will also sponsor the Cabaret Award at the Festival’s awards ceremony, where FRINGE WORLD’s best acts are recognised and acknowledged. We’re giving eight lucky customers membership to the FRINGE WORLD Friends 2019 program along with double passes to a show to kick off their FRINGE journey! The FRINGE WORLD Friends program offers great Festival benefits as well as year-round treats to keep the good-times rolling once the Festival wraps. 30% discount tickets to a big range of FRINGE WORLD shows. This exclusive Friends offer is available till 16 January 2019, the perfect helper to plan your Fringe Binge pre-festival. Jump the line with a friend and get first choice of seats for two shows at The Pleasure Garden and two shows at Yagan Square. Skip the queue at all FRINGE WORLD Box Offices with the Express Friends line. Get exclusive deals and insider tips delivered straight to your inbox, so you can get the most out of your Fringe experience. Early access to purchase FRINGE WORLD shows before anyone else. TeaserTix are available from 18 October to 15 November. Plus access to exclusive offers, discounts and benefits to some of the best Perth events, restaurants and offerings to keep the good times going all year round. Check out the Friends Offers page for the latest round of benefits. We’ve got a heap of double passes on offer to selected shows at the FRINGE WORLD Festival 2019 this summer. Keep your eyes peeled for details in our upcoming customer newsletters – or simply stay connected with us on Facebook for more chances to win your way to the Fringe Festival. For more information on FRINGE WORLD 2019, head to their website.